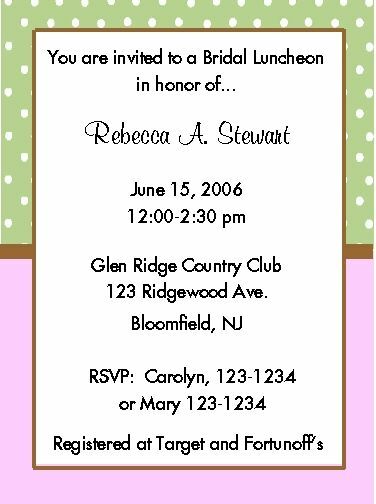 Pink & Brown with Green Polka Dots Bridal Luncheon Invitations. Our bridal luncheon invitations feature adorable and fun pink, brown and green colors. What a pretty invitation this is!! All wording can be changed.